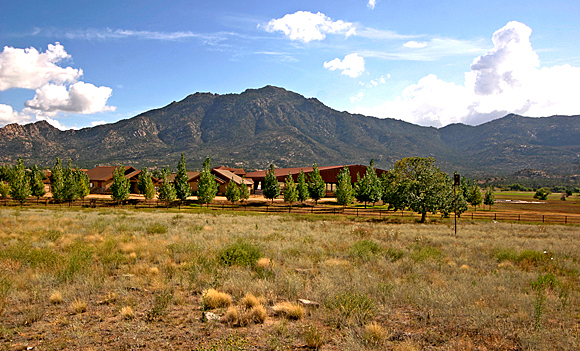 American Ranch in Prescott is located in the popular Williamson Valley area at the base of Granite Mountain adjacent to the Prescott National Forest. This prestigious Master Planned community has top-notch amenities, unique custom homes, and has a world class equestrian center. Homes for sale in American Ranch are exquisite. Amenities in American Ranch include: Basketball Courts, Clubhouse, Community Kitchen, Equestrian Fitness Center, Gated Community, Meeting Rooms, Pool-Outdoor, RV Parking, Spa/ Hot Tub, Tennis Courts, and Workout Room. The equestrian center is fully staffed with both Western and English lessons, training, full boarding stables and facilities, covered and open riding arenas. There is direct access to National Forest trail system for endless riding and hiking! American Ranch is only 8.9 miles from Yavapai Regional Medical Center, 9 miles from the nearest Prescott Unified School, and 13 miles from The Picture Show. Call John Gorden at (928) 308-0101 for information on homes for sale in American Ranch.